Beautiful ranch! Minutes from Standing Bear Lake, Stone Creek golf course & school. Open kitchen w/ granite counter tops opens to cozy corner fireplace. 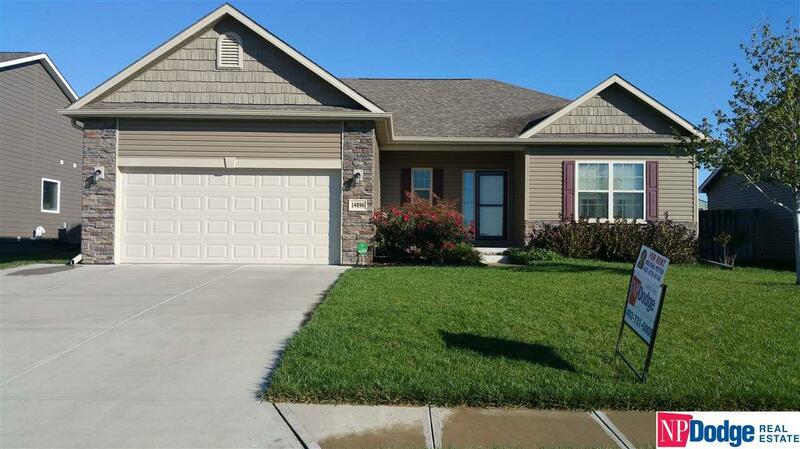 Main floor master has trey ceiling,master bath with dual sinks & spacious walk in closet. 2 more bedrooms, full bath & SS LG washer/dryer on the main level. Finished basement includes pool table, bar, & wine cooler, bed & bath. Perfect place to wind down after a long day. Full privacy yard with sprinkler system.